What was your biggest jackpot in August? Join the horde and help September become the craziest month yet at High 5 Casino! The moment you’ve all been waiting for is finally here: High 5 Casino for Android is now available! Fifty-seven premium slots – like Dangerous Beauty, Golden Knight, Gypsy, Double Da Vinci Diamonds, Foxy Dynamite, and The Mighty Atlas – now fit in the palm of your hand. Android users will never have to miss another four-hour bonus again, nor will they ever be without authentic on-the-go gaming. 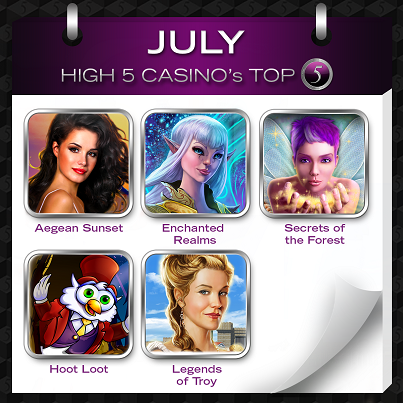 No matter what mood you’re in, there’s a slot on High 5 Casino for Android for you. Feeling adventurous? Then set out with The Lovely Outlaws! Want to be a hero? 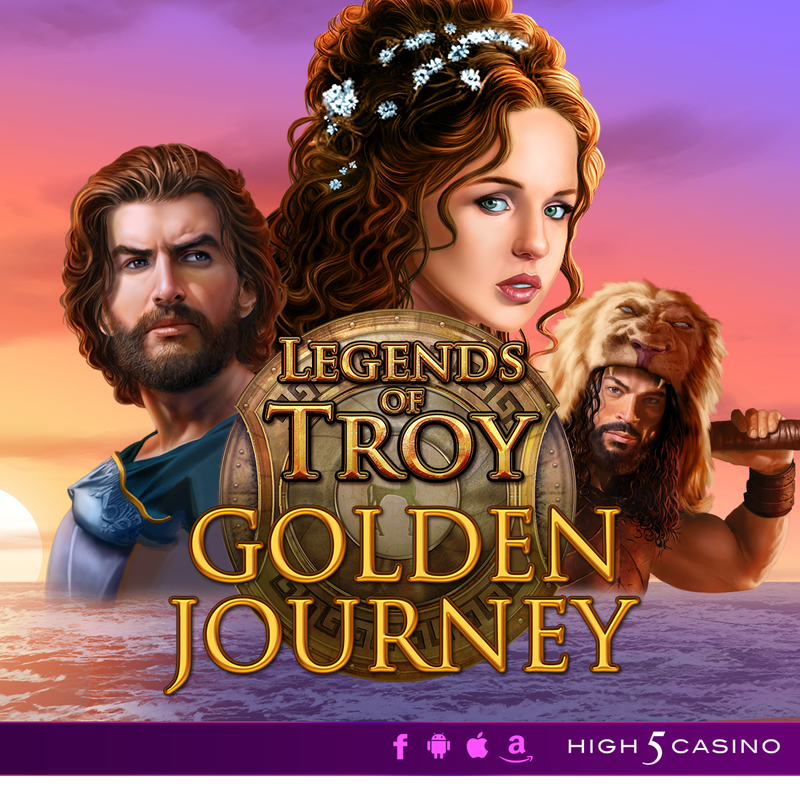 Then hop on Legends of Troy! Just want to relax? Spin The Dream for a while! Time to party? Fire up Club Caliente! 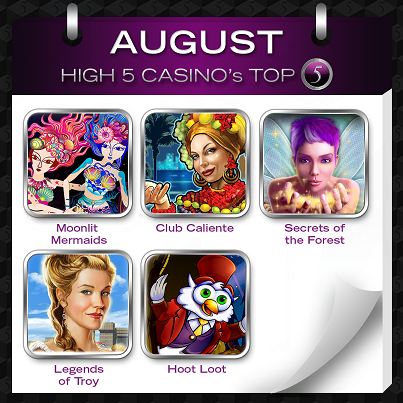 EXCLUSIVE ANDROID LAUNCH REWARD: Download High 5 Casino Mobile by Sunday, August 24th and receive 15K FREE coins by Monday, August 25th! How many spins do you think you contributed to the July total? Become a statistic and play High 5 Casino today! There are 50 states in America. Fifty ways to skin a cat (or something like that). I’ve procrastinated 50 times while writing this post. 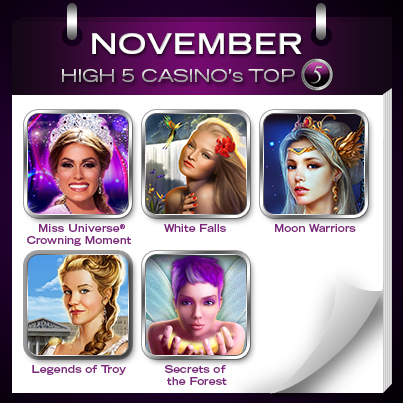 And now, there are 50 premium slots available for on-the-go-gaming at High 5 Casino Mobile! 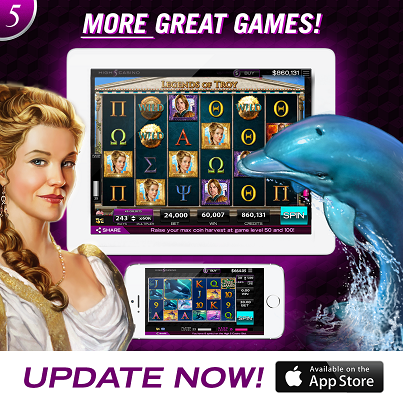 Ocean’s Glory and Legends of Troy were added to High 5 Casino for iOS late last week. Ocean’s Glory lets you leave land behind and head out on an aquatic adventure that will leave you breathless – both from the beauty of your surroundings and the huge jackpots you’ll snag with Super Symbols! 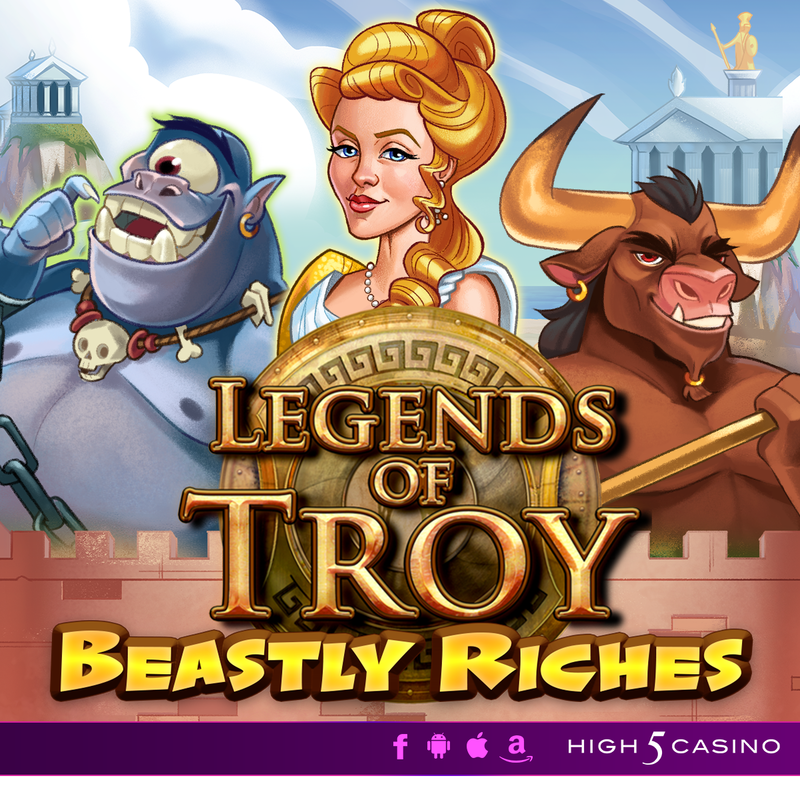 Legends of Troy, which arrives unlocked for all players, sends you back millennia to ancient Greece. There, you’ll see the legendary soldiers whose famous story lives on forever, while winning big with Scatter Bucks and Stacked Wilds!